Studied Informatics & Systems Engineering, from 2016 (spring) to 2017 (spring), before transferring to Minerva Schools at KGI for the fall semester of 2017. Relevant coursework: Discrete Mathematics (I & II), Advanced OOP Programming, and Data Structures. 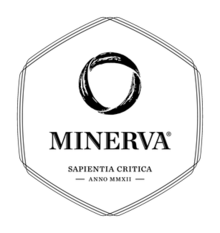 I will be majoring in Computer Science by 2021; and living in Seoul, Hyderabad, Berlin, Buenos Aires, London, and Taipei as part of Minerva's global rotation. Relevant coursework: Applied Statistical Inference, Algorithms, and Software Development. I screamed my first Hello World! in a C# console when I was a high school junior in 2014. I've used it to power different undertakings since then. MattBots Currently in development, MattBots will be a game-based learning application that will stimulate early childhood mathematical thinking. Powered by Unity3D. Excerpts of source code, website, . Micro-SQL Prototype The program is a prototype of a Database Management System (DBMS) that allows to manage data structures on a personalized fashion. Source code (Github). 2D UFO Unity Game Although initially based on one of the official tutorials of Unity Technologies, I have adapted this project to my desires and implemented additional functionalities and features. Source code (Github). I wanted to build native Android apps, so I learned Java. 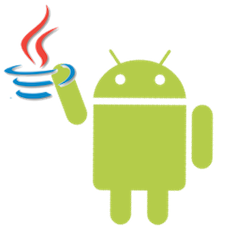 Hence, there would be no point on listing Java without emphasizing Android development. Applied CS with Android I facilitated Android-games workshops at my school based on lesson plans from Google Education. I'm the vice chair of the ACM (Association for Computing Machinery) student chapter at my school, and we managed to receive funding for doing so. I had to develop myself the projects that would be used, prior to running each workshop. Such source code may be found here (Github). Device Tracker I used Firebase Realtime Databases to track the location of mobile devices through the Google Maps API (I was trying to build something like Uber eats). Work was heavily in progress when I stopped (summer ended). I may recommend to dive into these classes, which are very well commented and evidence what I learned to implement effectively, if the reader wants to take a look. Currently, downloading the app is pointless since authentication is required (may do something about it in the future, although I'd prefer to start again and refactor some aspects of the app mechanics). Source code (Github). During my time at Universidad Rafael Landivar in Guatemala, I largely used C++ to tackle some projects. Graph Isomorphism Project Program that takes two graphs as input and returns wheter there is an isomorphism function that matches them (whether they're equivalent). The Data Structure was built from the ground up (no single library for modeling graphs was used). Full algorithm implementation was made on C++. Source code (Github). Distributed Servers System Simulator The program is a simulation of a System of Distributed Servers. The idea: To attend as many requests as quickly as possible with the available computational resources. Source code (Github). Differentiator The program is a differentiator of mathematical functions implemented by the use of binary trees. Since binary trees (expression binary trees) may give the hierarchy of an algebraic expression, it is possible to recursivitely differentiate each node by applying the respective differentiation rule to the root, and consequently to each node of the tree. Source code (Github). More specifically, I'm experienced in AJAX approaches to web development; Node.js; jQuery; and React. I have also implemented Node.js servers in Google App Engine in the past, which I have connected to Google Cloud Datastore and Google Cloud Storage. Constantine In collaboration with @henryhill, I've been recently working on Constantine: "a leaflet-based web application which showcases an interactive historical narrative. Constantine is built with Scry, a technology which visualizes the causal linkage between historical events, which can then be explored at the discretion of the user."" My contribution has focused on the backend, where I've worked on implementing the communication with Google Cloud Datastore through a Node.js server. Source code (Github). Since I transferred to Minerva Schools at KGI, Python has been one of the languages I've used the most in my academics - which include facilitating weekly one-hour Structured Study Sessions to help classmates with their Python coding skills. We are a group of young creators currently developing MattBots, a Game-Based Learning application that will stimulate Early Childhood Mathematical Thinking. Check out http://www.tecuntecs.com to learn more. 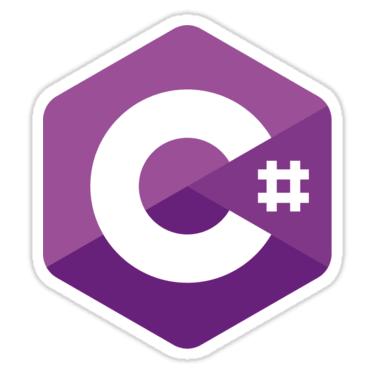 Design and develop overall application architecture of cross-platform educational video-game in Unity3D game engine using the C# programming language. Manage team of two people (1 fellow programmer and 1 graphic designer). Strategize financial and business plan. Conduct ongoing research on Game-Based Learning and Assessment and Early Childhood Mathematical Thinking. Windows and Android demo available. Official release expected by end of 2019. Facilitated weekly one-hour Structure Study Session meetings and held office hours to help classmates with mathematical and Python coding skills. Introduced session learning outcomes and answered questions about problem sets from fellow students for 2 semesters. Sessions were introductory - covered the fundamental of loops and conditionals; list data structures; Matplotlib, Numpy, and Pandas libraries; importing of .csv files; 2D plotting; basic sorting and searching algorithms; and Euler problems. Analyzed and presented reports on the implementation of effective Search Engine Optimization techniques. Used different CMS platforms (WordPress, Joomla...), mastered HTML and CSS. Gathered data from the server log files and presented statistical reports that showed the sites' performances and allowed to make inferences about their future. Collaborated in the implementation of a WordPress site from scratch that included e-commerce functionalities. Check out what I've been working on! You know, words are not enough.